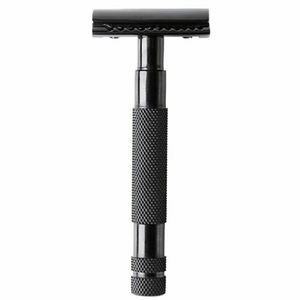 Heavy-duty steel safety razor with supreme stability from Dark Stag. 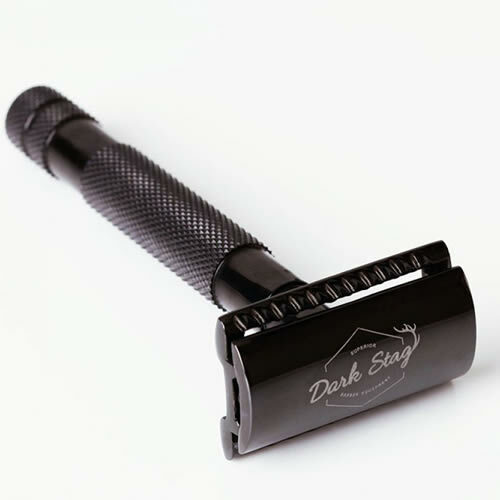 Dark Stag's SR+ Safety Razor is a supremely durable and stable tool that is enhanced further by its knurled grip. It's been perfectly balanced to make the shaving experience a simple and rewarding one and has a super-slick black plasma coating that is durable and looks great. The razor uses widely available traditional double-edge blades which adds to the appeal of this brilliant tool.